At Kyle G's have a lobster dinner with an ocean view. 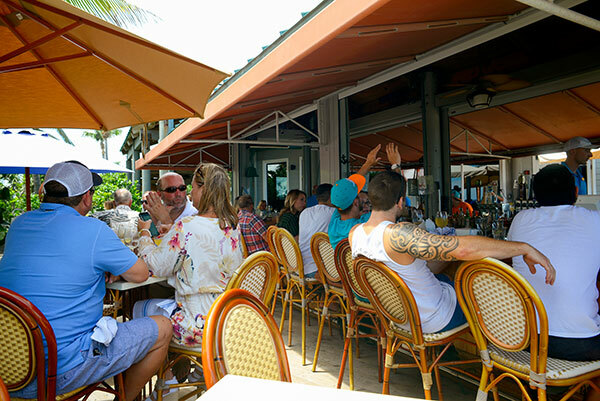 If you’re looking for the best waterfront view as you drink or dine in a Treasure Coast restaurant, what could be better than hitting an outside bar with frothy blue waves breaking just feet away. Or sit inside and look through the huge windows for the same view. Kyle G’s Prime Seafood and Steaks in Jensen Beach is a place you won’t forget. Feeling almost like you’re sitting on the beach while you eat is a great experience. If you are a visitor to the Treasure Coast, you can bring home memories and photos everyone will envy. Outside dining at Kyle G's. 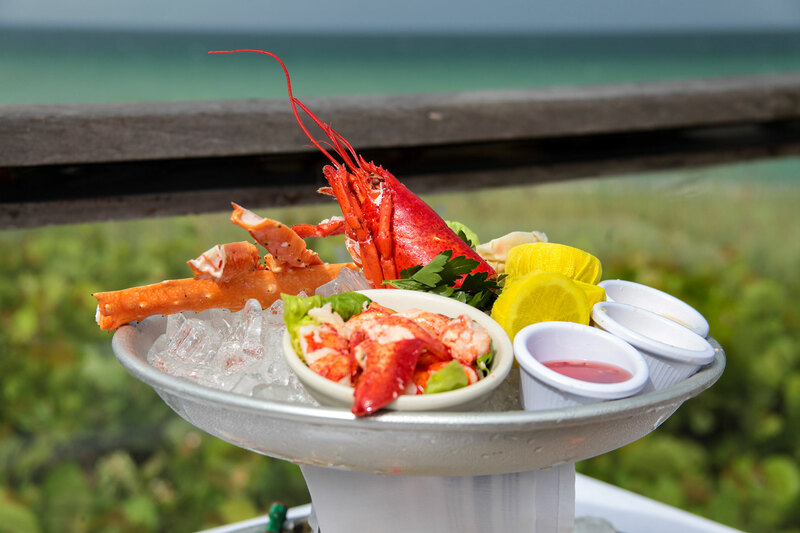 The outstanding seafood-centric menu, along with the beautiful presentation of food when it comes to your table, will make you want to come back again and again. The restaurant features fresh seafood every day, and it also offers steakhouse quality cuts of meat. The restaurant emphasizes that its partners on the seas and at the coastline choose its seafood from the best available catch, ensuring each fish meets exact standards. Kyle G’s offers a variety of seafood options, including fresh fish, clam, lobster, crab and more. Each variety is prepared using a technique that best highlights the natural flavors and showcases a beautiful preparation. "Bar sits almost on the beach with outdoor deck seating as well as great view of the ocean and beach." "The restaurant sits on the ocean, has an outside bar, inside the tables line the expansive windows that look out to the ocean, inside bar sits above the tables to allow for that same view."